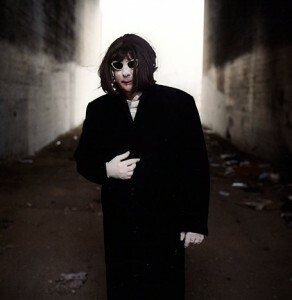 If you’ve never heard of Gary Wilson, he’s an experimental musician and singer who put out the offbeat album in 1977 You Think You Really Know Me. It’s a fun and strange album to check out. Joining him are The Immaculates, Moonmen On The Moon, Man, Slowdance (DJ set), and Mr. Fahrenheit (DJ set). Though Relish looks like a 50s diner or an even larger version of an L train car, this restaurant offers up some gourmet treats for dinner. With influences from all over the globe, Relish features diner classics like burgers and onion rings, and step it up with the likes of Blackened Yellow Fin Tuna ($21). Williamsburg’s first beer garden, Radegast Hall & Biergarten has a beautiful all-wood interior, an enclosed outdoor backyard, and 12 German/Austrian beers on tap and more than 30 bottles. Another great bar in the area, Zebulon offers free live jazz and afrobeat. The drinks here are inexpensive, and I’ve never seen a bad show here before. Check out Brooklyn murder-ballad vocalist David King when he performs an intimate set at Pete’s Candy Store. For vegetarians and those not in the mood for meat, Wild Ginger Pan-Asian Vegan Café offers Pan-Asian cuisine in a relaxed earth-toned environment with a menu featuring veggies, tofu, seitan, and soy. The best thing about Teddy’s Bar & Grill is that it’s just got this great neighborhood vibe that’s warm and friendly, while also having a great menu of drinks and American bar food favorites like burgers, salads, sandwiches, and steak. A great place to get good coffee, take a seat, and watch the passing hipsters stroll by, Verb Café even has excellent sandwiches and baked goods to snack on before the show. You know him as one half of the soul stirring duo Hall & Oates, but Daryl Hall who also has a podcast, brings it to the big stage. 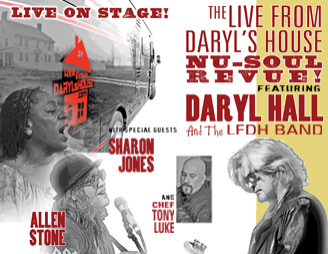 Live From Daryl’s House features him playing with some of his favorite musicians around and here he teams up with one of the best soul singers around today, Sharon Jones. Cheap yet not too heavy, Hummus Place serves up surprisingly great hummus in the uptown version of their original downtown location. More a game room for adults than a sports bar, Jake’s Dilemmal offers more than 50 beers to choose from while you can play pool, video games, or foosball. Inspired by Alice in Wonderland, Alice’s Tea Cup is as much for adults as it is for kids. Get one of a vast assortment of teas flown in from around the world here or a gorgeously designed slice of cake. 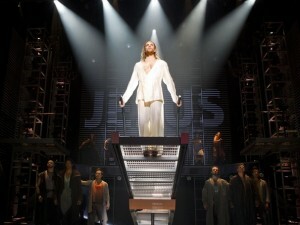 Two-time Tony Award®-winning director Des McAnuff brings a bold, new vision to Jesus Christ Superstar by Tony, Grammy, and Academy Award-winners Andrew Lloyd Webber and Tim Rice. While Swizz has an extensive wine menu and a downstairs cave, it’s the cheese that people come here for. Fondue lovers, Swizz Restaurant & Wine Bar is the place to go and the menu is just as extensive as its wine. It’s romantic and cheesy. Get it! Café des Artistes is one of those old historic bars that’s as New York as it gets. This bar/restaurant was the meeting place of artists going all the way back to 1917. Today, it serves up new American dishes and cocktails to those in the know. To soothe your sweet tooth, check the uptown location of Magnolia Bakery and sink your teeth into one of the city’s best cupcakes.